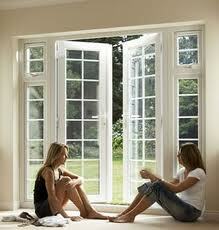 Are uPVC Patio Doors Cost Estimates useful? Well, in our opinion this is debatable, a uPVC patio doors estimate is exactly what it says it is, an estimate, when what you will actually require at the end of the day is a written quote. A written quote is the way to go if you are serious about replacing your old windows with new double glazed windows, as this will be specific to your property and cover all aspects of the installation. Most, if not all, double glazing windows, doors & conservatory installers will be very happy to provide free written quotes, but be sure to use a company that is accredited by FENSA, GGF or CERTASS as you will need to meet building regulations and these certified companies will be able to do the correct paperwork to get the windows ‘up to code’.